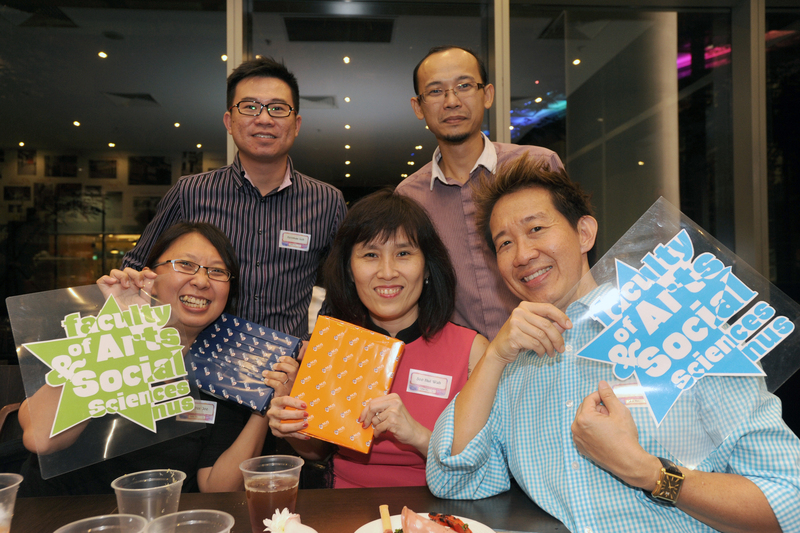 Over 50 alumni members and staff from the Faculty of Arts & Social Sciences gathered for the FASS Alumni Dinner on Thursday, 24 October 2013. Hosted by Vice Dean Associate Professor T.C. Chang at Sapore Italiano at NUS University Town, the biannual dinner allows alumni to keep in touch with the Faculty and also get to know one another. 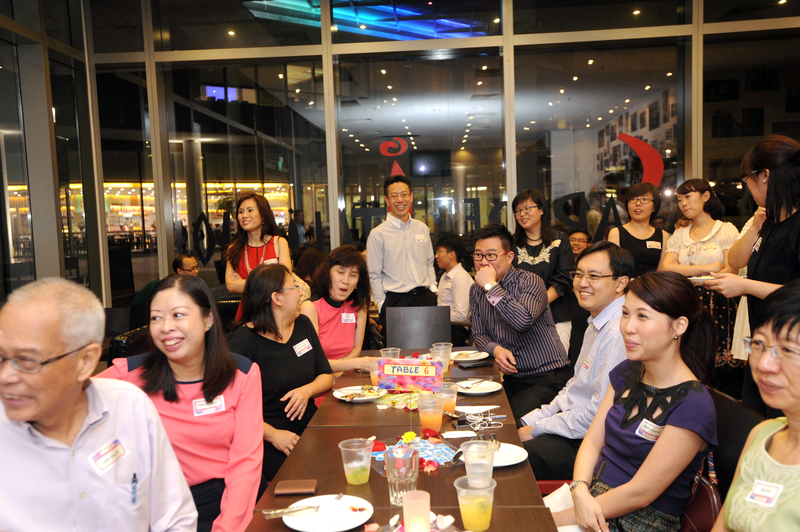 Prior to dinner, the alumni were taken on a walking tour of UTown including its residential and teaching spaces. On being introduced to its myriad of amenities, alumnus Soo Hui Wah (Class of 1986, History and Political Science) Director of Education at the Singapore Discovery Centre, commented that she was “very impressed and proud of how far NUS had come in terms of its extensive offerings, such as its student-centric and all-rounded education programmes which are supported by up-to-date infrastructure and facilities”. 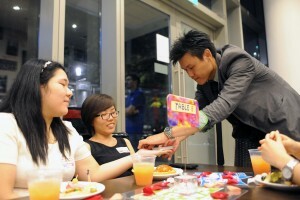 Over dinner, guests were entertained by a magician, FASS alumnus Alexander Yuen (Class of 2012, Psychology). 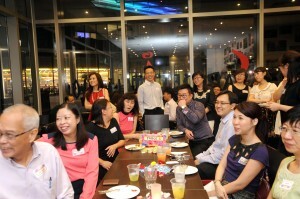 Political Science and Law graduate Cynthia Elizabeth Tang (Class of 2003) said that it was great fun reconnecting with fellow alumni and her former professors. Likewise, Azmi Suhaimi, Managing Director/Head of Social Media at HotelQuickly (Class of 2010, Communications & New Media) enjoyed reminiscing his time as an undergraduate while discussing future plans with fellow alumni over dinner.